To say that I enjoy crafting is an understatement. I adore the creative process of crafting. But I really adore crafting with repurposed items. I find it a creative challenge to turn something that was trash into something beautiful and useful. I have a real thing for repurposing glass or plastic jars. 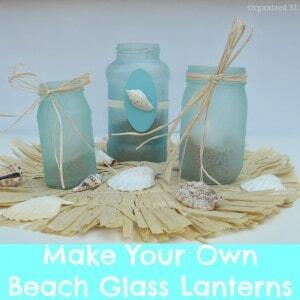 There are so many rewarding ways you can craft with a jar. 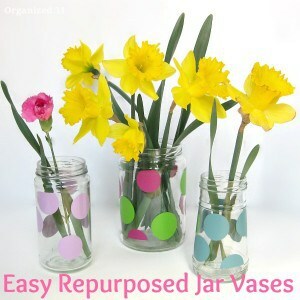 But before you can turn a recycled jar into a lovely craft, you have to remove the sticky label residue. 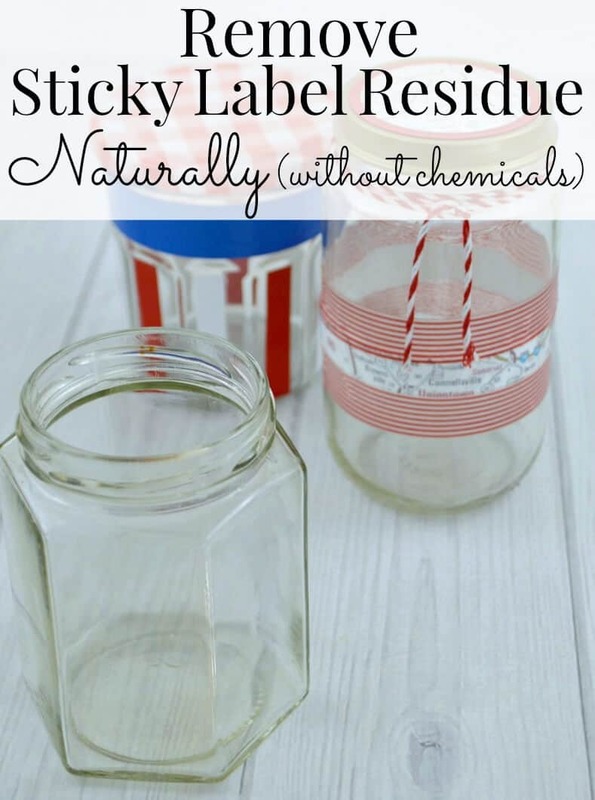 About two years ago I started experimenting to find a way to remove sticky label residue naturally without chemicals and I’ve figured out a simple process that works for me using household items I already have. 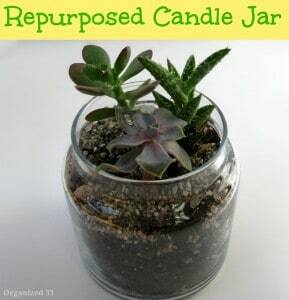 When I first started repurposing jars, I used chemical glue removers. 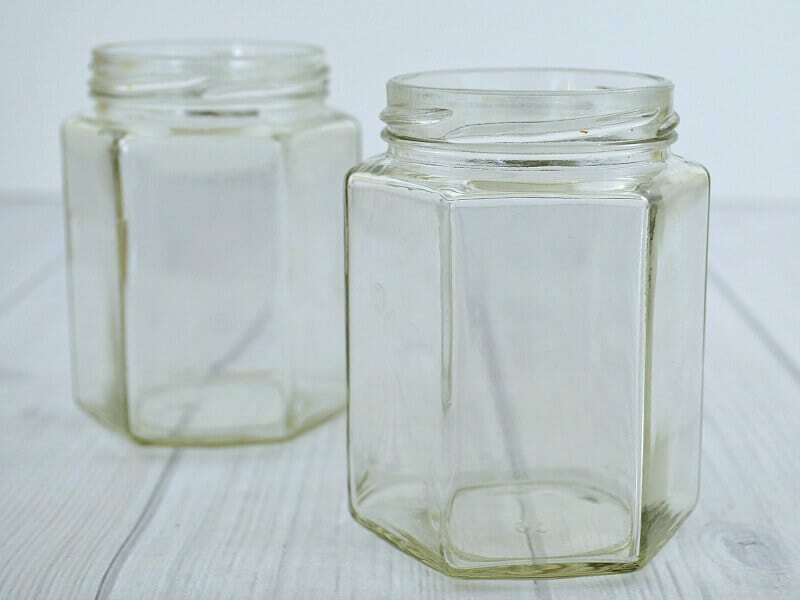 It just didn’t seem right to do something earth-friendly by repurposing these jars but to use chemicals to remove the labels. Plus, I often use the decorated jars to hold food items and so I definitely didn’t want to use chemicals to remove the labels. Peel label carefully so the glue comes off with the paper label. Some labels can be peeled off and the sticky residue will come off the with the paper label. Start by carefully trying to peel the edge of the label up. If you can, slowly pull the label off so that the glue residue comes off with the label. If you can remove the glue residue with the label, this is the easiest option. 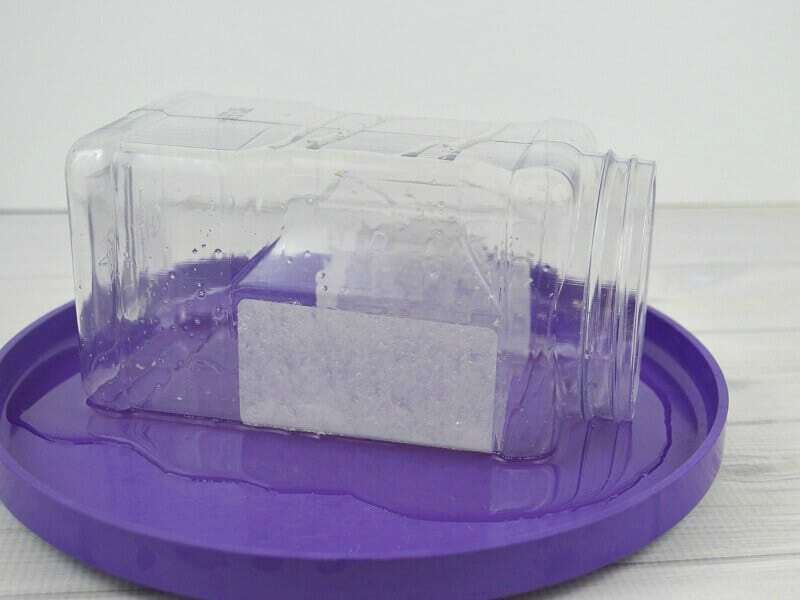 Soak jar in a tub of warm water. Sometimes it’s not possible to remove the glue residue with the label and that’s when I soak the jar in a tub of warm water. When you’re lucky, the entire label plus the glue will come right off after about 5 -10 minutes in the water. But sometimes you end up with a jar that has no paper label left but lots of glue residue left. Place label residue in vegetable oil. Place the jar in on a plate or in a container with a lip. Pour vegetable oil over the glue residue and leave the jar alone for 15 – 30 minutes to allow the vegetable oil to soak into the glue. Often I turn the bottle over so the label glue sits in the puddle of oil on the plate. 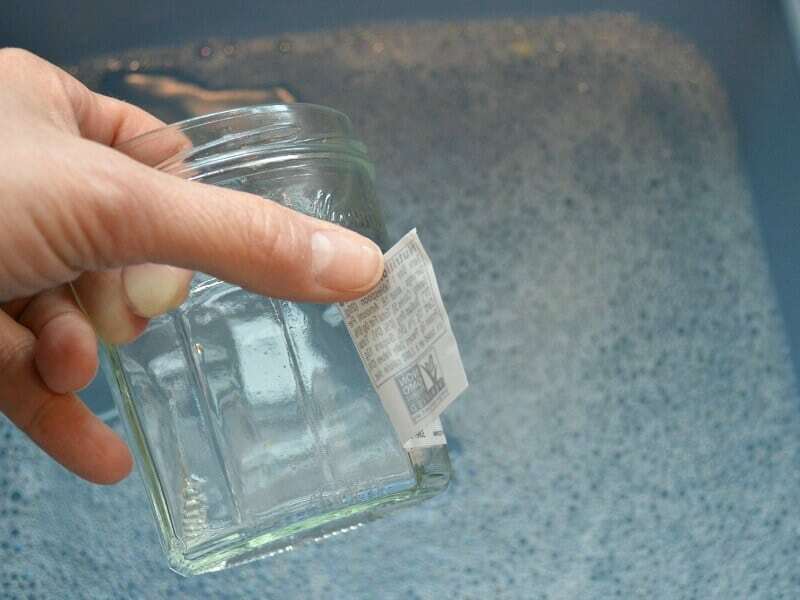 If the jar is round, I put a paper towel over the label glue and soak the paper towel with vegetable oil. The paper towel holds the vegetable oil in place long enough to work through the glue residue. Sometimes the glue residue is extra difficult, so I leave the jar soaking in the vegetable oil overnight. Scrape oil-soaked residue off. Once the jar has soaked in the vegetable oil and the glue has softened, use a scrapper or the edge of a spoon to scrape the glue off. If the glue won’t come off, soak it in the vegetable oil for a longer period. I haven’t met a glue yet that won’t eventually give in after being soaked in vegetable oil for up to 48 hours. Occasionally, inexplicably it’s easier to wipe the glue residue off than to scrape it off. 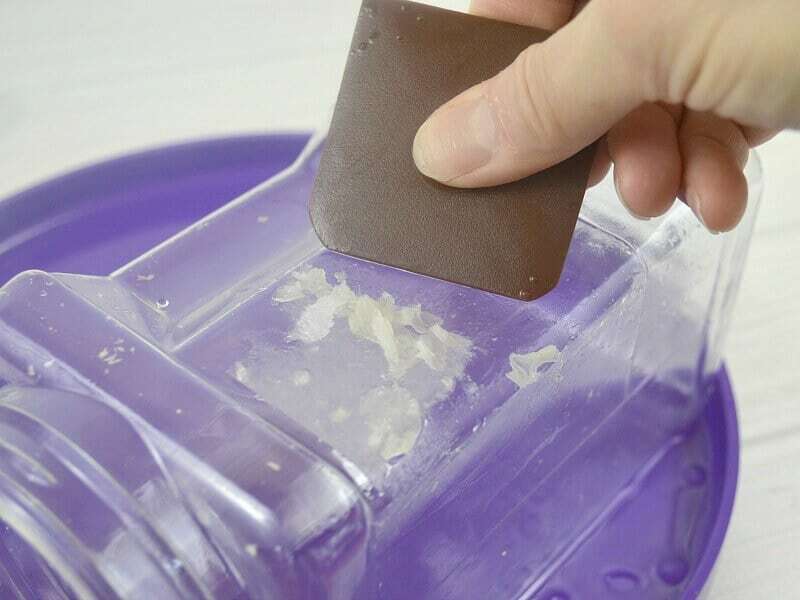 If you’re finding that when you scrape the glue off it just rolls up into little balls or strings of glue that’s when you want to try the a reusable cloth (or paper towel) to wipe the glue off. Wash jars well to remove oil. 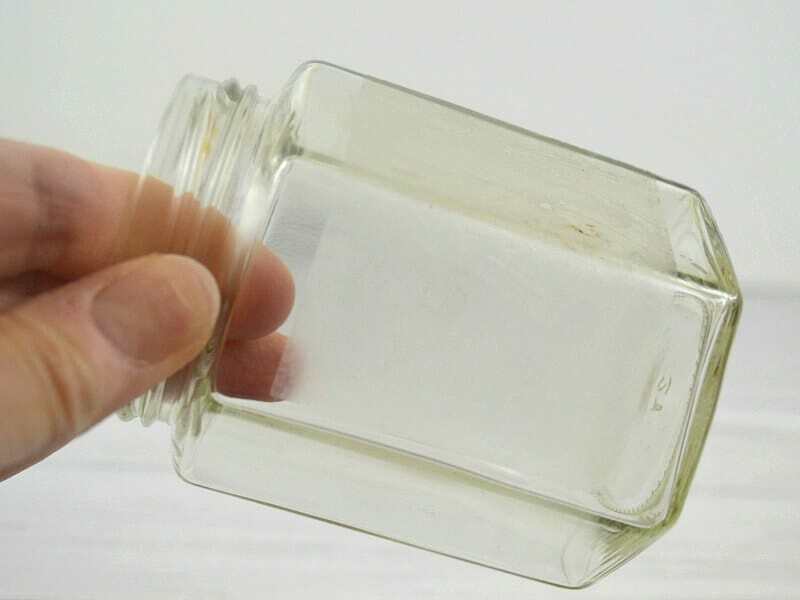 Once you’ve removed all the glue residue, wash the jars well to remove the vegetable oil. I always put glass jars through the dish washer to completely remove the oil. 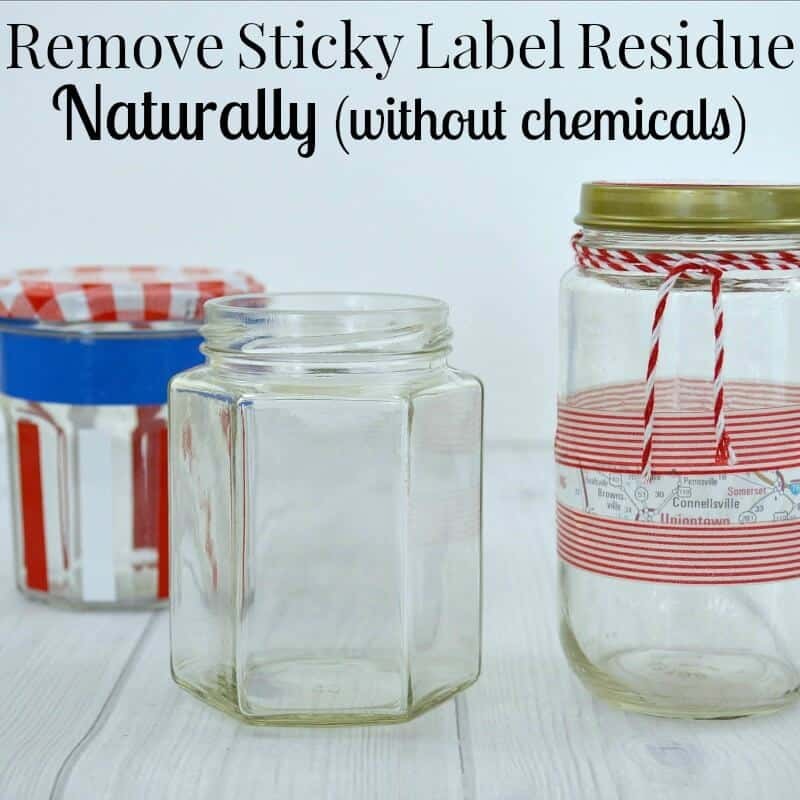 After the first few times you use these tips to remove sticky label residue naturally, you’ll get a feel for which labels do best with which techniques. I just recommend you walk through these steps and eventually one of them will work. What do you use to remove sticky label residue? Huh… had no idea that vegetable oil did this. Great tip, Susan! It’s easy peasy and always something I have in the house. Have fun crafting, Seana. 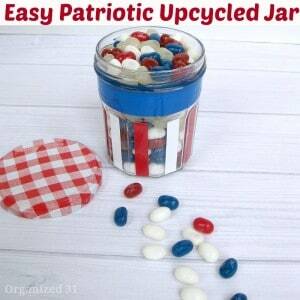 I am always reusing jars and never tried vegetable oil. Thanks for the tip Susan! It works for all labels, some just have to soak overnight, Raquel. Let me know how it works for you. What a great way to get that sticky goo off the glass jars, Susan. I have often put the jars in the dishwasher and just hoped for the best. Now I know how to easily and safely get the goo off. I hadn’t heard of using vegetable oil ~ great tip! Thanks for sharing! It’s worked on every type of label so far, Dani. More stuborn labels require a bit of soaking first. I need this! I have been saving so many jars and can’t figure out how to get the labels off. Thanks so much!!! !